Neck pain management practices can be constructive or damaging. Regardless of its risks or benefits, pain management is always considered second-class medicine, since it treats pain as a separate entity instead of seeking to resolve its underlying causative mechanism. This is the primary reason why the pain management specialty has received so much negative criticism over the past few decades of its exponential growth. We at The Cure Back Pain Network agree that pain management is always a poor option compared to finding a real cure. However, our extensive experience has also taught us that sometimes, neck pain can not be cured and must be managed for humanitarian purposes. This is why we support indicated uses of pain management, with certain caveats explicitly noted. 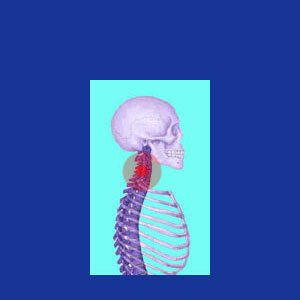 This discussion provides objective analysis of pain management for chronic neck symptoms. We will detail both constructive and destructive methods of care and guide patients to find the very best and safest options for their particular pain relief needs. Acupuncture and acupressure are safe, effective and might also provide positive health benefits that transcend mere pain reduction. The major downsides can be the cost and temporary nature of treatment. Hypnotherapy can be used to decrease pain. Once again, the cost of care can be prohibitive for some patients and results are not predictable. Some patients are far more open to hypnotic suggestion than others. Cryotherapy and diathermy are cold and hot therapy, respectively. Patients can use ice or heat at home or may elect to receive professionally-applied treatments. Patients are often surprised just how effective a comprehensive heat and ice program can be at reducing pain, regardless of the diagnosed cause of suffering. Massage therapy can diminish pain and provide relaxation, improved circulation and other general wellness benefits. Cost might be high in some areas of the world, but amateur or self-massage often works fine for many patients. Posture therapy might help to reduce symptoms, even if the pain is not a direct result of postural deficiencies. The anatomy can often be taught to compensate for pain using posture and positioning. Meditation is a great help to many patients with chronic suffering. Meditation can be passive or dynamic and might involve related practices like progressive muscle relaxation, pain diaries, journals and productive self-dialogs. Exercises and physical therapy are great for overall health and the chemicals released during physical exertion can actually stop pain in its tracks. Self-managed exercise routines will obviously be much more economical than ongoing professional physical therapy. Coaching is a great investment in life. Pain coaches can help clients to literally learn to decrease pain itself, as well as the negative effects of pain. I have written extensively on the subject of pain management in my coaching practice. If you are interested in learning about a great diversity of positive practices, please enjoy my blog on chronic-pain-coach.com for an encyclopedia of positive symptom-reducing practices. Inversion has been used for millennia to decrease pain and provide (often controversial and speculative) health rewards. Chiropractic is thought to optimize the spinal alignment and many patients also find pain relief through regular vertebral adjustments. Cost is a major factor here, as chiropractic can cost a literal fortune over time. Personally, I spent tens of thousands of dollars while in treatment. Epidural injections, nerve blocks and Botox are all injection-based therapies that can reduce pain. All of these are risky, but injections that penetrate the spinal membranes are very dangerous. Serious complications can and do result and the substances injected are toxic to the body. Drugs come in OTC and prescription forms. All pharmaceutical products have known and unknown risks that can affect general health, as well as specific facets of health. Ongoing use of drugs can create far more problems than the pain they are being used to treat. Of all the symptom-based therapies, drugs are both the most commonly used and the most perilous. Alcohol is a common coping mechanism for pained people with all manner of physical and emotional health issues. While responsible use of alcohol might provide some minor benefits in terms of relaxation and circulation, abuse of the substance is deadly and will enact a terrible toll on anyone who excessively uses the substance for ongoing pain management. Neck surgery is usually known as a curative method of care, but times have changed and now there are many symptomatic operations as well, including temporary nerve ablation, spinal implant placement and other techniques. Obvious, the very concept of surgery comes with great risk and actual procedures might do more harm than good for many patients. The choice of how to manage pain is completely up to you. Your doctor might make suggestions, but the final decision is yours to make. You do not have to acquiesce to any therapy that is dangerous to your health. You do not have to accept or fill prescriptions for drugs that are toxic and will slowly kill your body from the inside out. 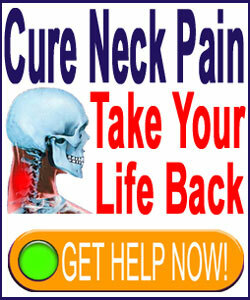 You can choose to discover your own methods of neck pain relief that will help to bring you back around to good health, rather than accept poor solutions that will further erode the health you have left.